The alarm sounds, and you fall into your morning rhythm. Wake up, brush teeth, take a shower and go to work. Day after day, our routines define us and allow us to live productive lives. Once we are in routine, there is often very little room for questioning the system in place. If it works, it works. Why mess up a good thing? When it comes to showering, we know why we wash our hair, but ignore the actual substance. I mean, what is shampoo exactly? What makes it shampoo as opposed to body wash or hand cleanser? How does shampoo work? Our ancestors used to be covered in hair. Modern humans only have hair in a select few places. The head is the most noticeable. It consists of hundreds of thousands of individual hairs that all come together to create a head of hair. The hair follicles pick up dirt from the environment. Sweat and sebum also build up on your scalp and hair. In order to keep your hair and scalp looking and feeling great, you have to wash it. That is where shampoo comes in. It is formulated with oils and other chemicals that work especially well with hair. Between the surfactants and the conditioning agents, your hair is left clean and soft without stripping away too much of you hair’s natural sebum oils. It is a fine dance. Surfactants in shampoo clean the hair. You know how frustrating it is to clean oil and grease off of your hands. 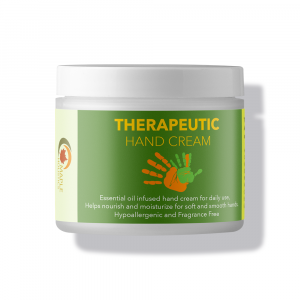 You can run water over your hands for hours, but the oil won’t budge. When you just use water on your head, it’s the same deal. The water can wash away the sweat and dirt, but the oil remains. 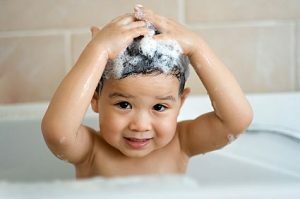 As an active ingredient in shampoos and soaps, surfactants emulsify with the oils on your head so that they can be washed with water. Two widely-used surfactants are sodium lauryl sulfate and sodium laureth sulfate. These chemicals have the reputation of being dangerous, but the evidence is inconclusive. When we wash our hair, we want to get rid of all the dirt and grease. But stripping away the oils can sometimes leave our hair dry. As a result, conditioning agents are added to the shampoo. They condition and coat the hair to keep it moisturized and soft. You can use a standalone hair conditioner, but most shampoos come with some conditioner in the formula. The conditioning agents also act as a detangler. Because the conditioner lubricates the follicles, they can easily untangle to make your hair more manageable. The conditioner also helps to prevent static, which can make your hair frizzy. Hailing all the way from Morocco, this literal liquid gold works wonders for hair and skin. The Argan fruit is so nutritious, goat defy gravity to eat it. So why not give your hair the best of the best? 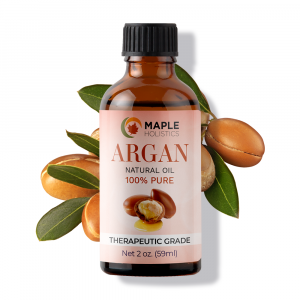 Argan oil is rich in phenols that your hair follicles will love. This essential oil promotes new hair growth and encourages the health of your existing hair. 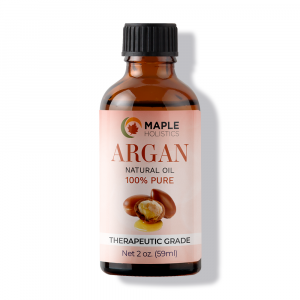 Chock full of vitamin A, vitamin E, antioxidants, and omega-6 fatty acids, this oil boosts cell production while minimizing inflammation. Trees are the bees knees! 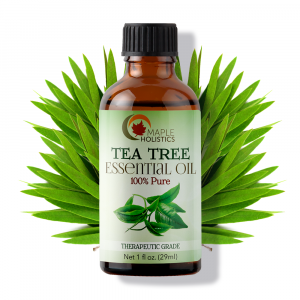 Tea tree oil is another versatile powerhouse in the world of hair and skin care. This oil takes care of the root of many hair problems: excess sebum. Normal levels of sebum keeps our hair healthy and happy by forming a protective barrier over the skin. However, it is possible to have too much of a good thing. Too much natural sebum can clog your pores and block your follicles. Tea tree oil, our knight in shining armor, saves the day. This green savior (Shrek?) takes control of skin oil production so as not to overproduce. By treating this sebum issue, tea tree works wonders for scalp acne. Clearing clogged pores allows for more healthy hair growth and elimination of dandruff. The anti-bacterial and fungal properties tea tree oil make it an ideal cleanser to promote scalp health and optimal hair growth. West coast, best coast! West Africa really knows what’s good (for your hair). Similar to Moroccan argan oil, shea butter comes from a tree in West Africa, where the native population has used it medicinally for millennia. 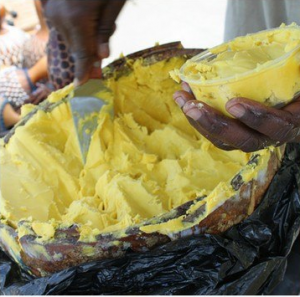 Shea butter is a healthy fat from West Africa. Packed with healthy fats, shea butter seals in moisture by coating each strand of hair. This protective barrier prevents frizziness and dryness, allowing your hair to remain its most healthy, vibrant self. Not only that, but the layer of fats on your hair have a natural SPF of 6 to easily protect against sun damage and chemicals in the atmosphere when you enjoy the great outdoors. 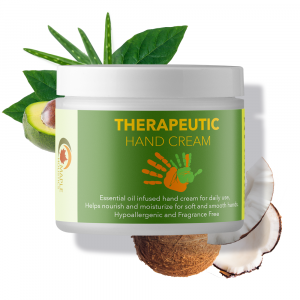 Whether you run oily or dry, shea butter will lend a helping hand by reducing excess oil production. It will moisturize a dry scalp to help with flaking without leaving your hair greasy. No need to worry about feeling oily – it washes right off in water. Give your hair the strength and nourishment it deserves! 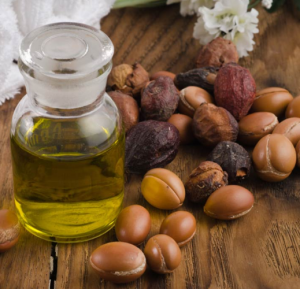 Jojoba oil may have a funny name, but its benefits are no laughing matter. Rich in vitamin C, B vitamins, vitamin E, copper, and zinc, this oil empowers your hair to be stronger and healthier. Its chemical structure is almost identical to your naturally-occurring sebum, so applying this wax will control overproduction of sebum in your skin glands. This essential oil not only combats scalp acne and irritation, but also promoted empowered hair. As a natural remedy for hair loss, jojoba promotes the growth of powerful strands. Inflammation can reduce the hair follicle, pushing the end of the hair out. This anti-inflammatory and antibacterial powerhouse restores strong follicles to grow your most voluminous locks. What gives us life? Water! We need it to eat, drink, and clean, so why shouldn’t your hair need it to glow? Water ought to be a top ingredient in your cosmetics. Oils and soiling components emulsify with water to be washed away. In order to get that clean shine, make sure aqua is up there in the ingredients list! For some top-notch shampoos, check out what Maple Holistics has to offer! Because we scrub-a-dub with shampoo close to every day, it is important to begin to understand what it is and how it makes your hair so clean. There are many different types of shampoo on the market and they all have their own unique formulas. The type of hair you have will effect which type of shampoo you should use. After learning a bit about this relevant topic, you can now wash with a bit more confidence!